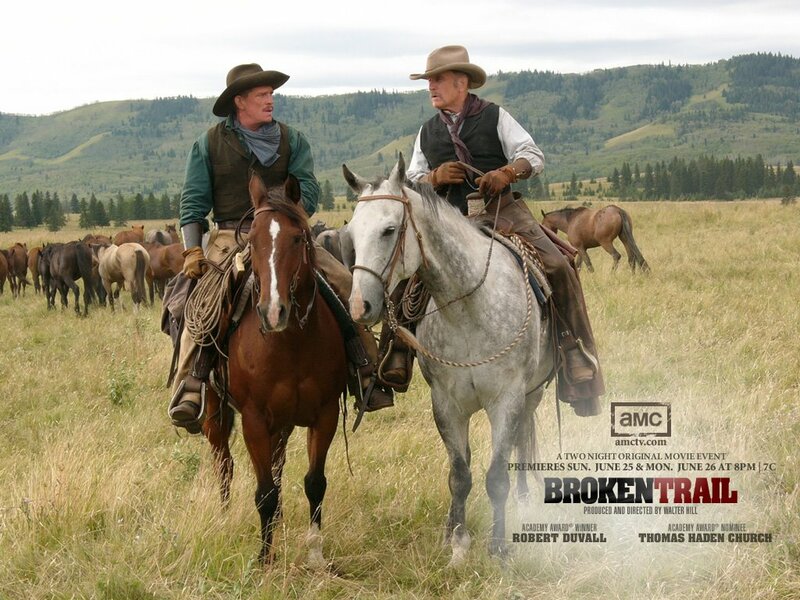 We spent the last two evenings watching Broken Trail on AMC. I loved the story, the actors and the perfectly amazing scenery. You can read a review and all about the story here. It is a wonderfully moving film full of kindness and decency in the face of ugliness and evil. As someone who never picked up another western (or McMurtry book) after Larry McMurtry killed off Gus in Lonesome Dove I was overwhelmed with this story. My dad spent summers working on the family ranch in Wyoming as a boy. He commented once that if all people were as crazy and mean and venal as depicted in McMurtry's West, the Westward Expansion would never have succeeded. Life was just too hard and you had to depend on each other to make it. The biggest surprise to me was actor Thomas Haden Church; this is a great role for him. If you did not catch it this time, dial it up when it repeats. You will not be disappointed. If you love the movie, you need to check out the novel by Alan Geoffrion (available on Amazon) as well-it is different than the movie, with more characters and more about the inner-thoughts of the characters. 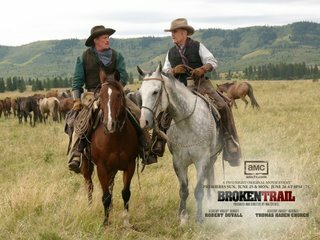 A wonderful, non-traditional western! Read the book! I got it off Amazon before the mini series came out- and it's really, really good. Especially if you loved Lonesome Dove! I will check it out for sure! Thanks for the recommendation. I was just looking for some more info on the movie and stumbled across this blog page. I agree the movie was awesome, but must agree with Burlyque and Tom Paine - the book is fantastic. I got a copy a few weeks ago in NYC and couldn't put it down. It adds a lot of richness to the characters. For example, in the book you learn that Print Ritter is a culinary genious of the trail - this tidbit of info really adds spice to the story and sadly doesn't translate to film. This book is the perfect summer read, and got me excited about reading westerns again. Broken Trail is awesome!